New Delhi: The government on Monday appointed renowned scientist Sivan K as the chairman of Indian Space Research Organisation (ISRO) to replace AS Kiran Kumar. The Appointments Committee of the Cabinet approved his appointment as secretary, Department of Space and chairman of Space Commission for a tenure of three years, an order issued by the personnel ministry said. Sivan, at present Director of Vikram Sarabhai Space Centre, will succeed Kumar, who was appointed on 12 January, 2015. He graduated from Madras Institute of Technology in aeronautical engineering in 1980 and completed Master of Engineering in Aerospace engineering from IISc, Bangalore in 1982, according to his biodata. Subsequently, he completed his PhD in Aerospace engineering from IIT, Bombay in 2006. 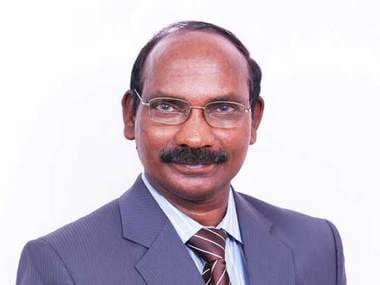 Sivan joined the ISRO in 1982 in PSLV project and has contributed immensely towards end to end mission planning, mission design, mission integration and analysis. He has numerous publications in various journals and is a fellow of Indian National Academy of Engineering, Aeronautical Society of India and Systems Society of India. Sivan has received numerous awards throughout his career which includes Doctor of Science (Honoris Causa) from Sathyabama University, Chennai in April 2014 and Shri Hari Om Ashram Prerit Dr Vikram Sarabhai Research award for 1999.